Have you ever seen that beer commercial where the guys are at the tee box and one friend is about to tee off when his friend says, “Hold on,” and uses his fingers to tighten the fairways and enlarge the sand traps? That is how every hole seems to be on this course. The sand traps are massive, the water features are prominent, and it has a very mature, demanding feel that can be quite intimidating. I played this course about eight years ago with a friend of mine who used to work here. He was telling me that Jim McMahon and Rollie Fingers always played it barefooted, so we did, too. I remembered it being very nice, but was nowhere near the golf enthusiast I am today, and it was like a whole new experience for me with virtually no recollections of that round and how to play it. 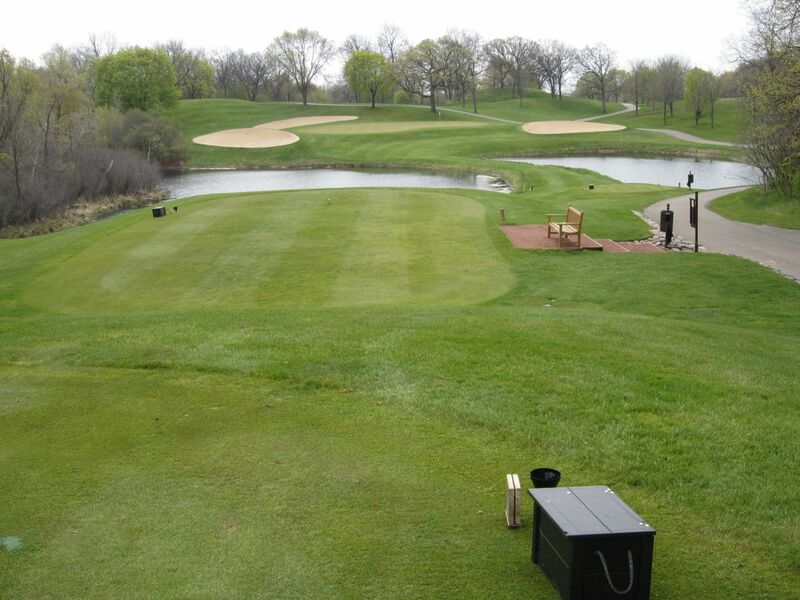 The Brute is one course that I cannot say enough that it is worth playing the recommended tee boxes. Even though the winds were sustained in excess of 30 miles per hour all day, two in our group insisted on playing the back tees (there are only two men’s tee boxes, which range from 6,554 to 7,085 yards). The starter told us we were the only ones to play the black tees on Friday, and it was obvious why when the best score in our foursome was a 92. Similarly to Wild Rock, everything about the Brute seems huge and accentuated. It has an awesome look and feel. 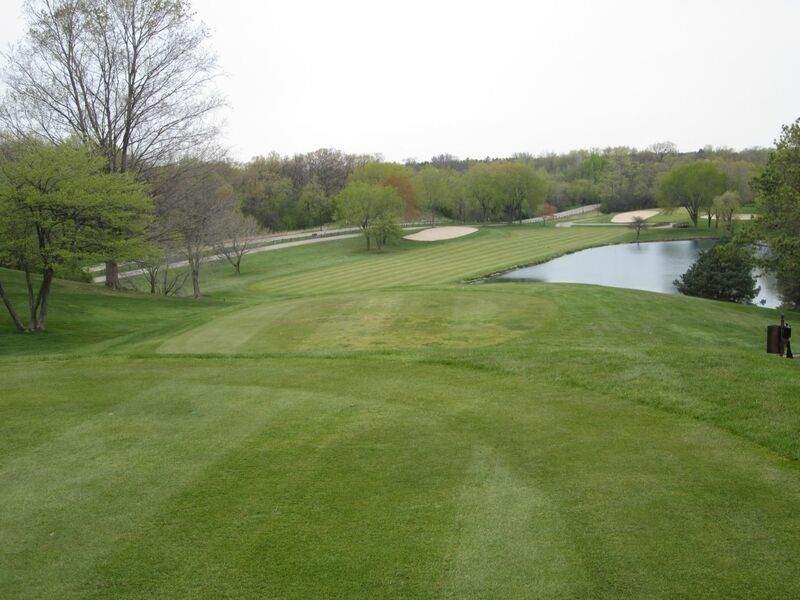 Also similarly to Wild Rock, the greens are extraordinarily quick and challenging. 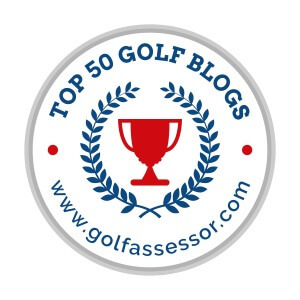 Many of the greens are crowned, and they are as fast as I have played so far this year. 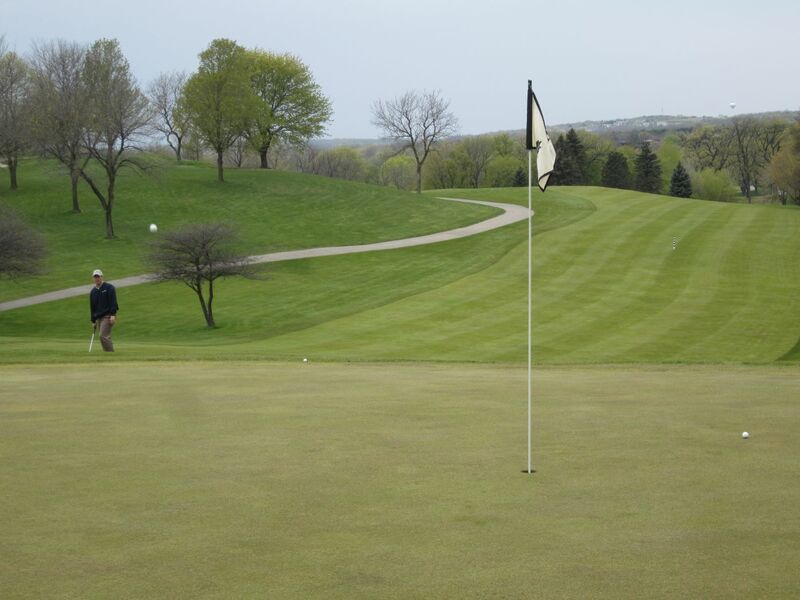 The crowning on these greens makes for nearly impossible downhill putts, and a lot of challenging two-putt situations. The Brute uses elevation wonderfully, and sparingly on their par fives. 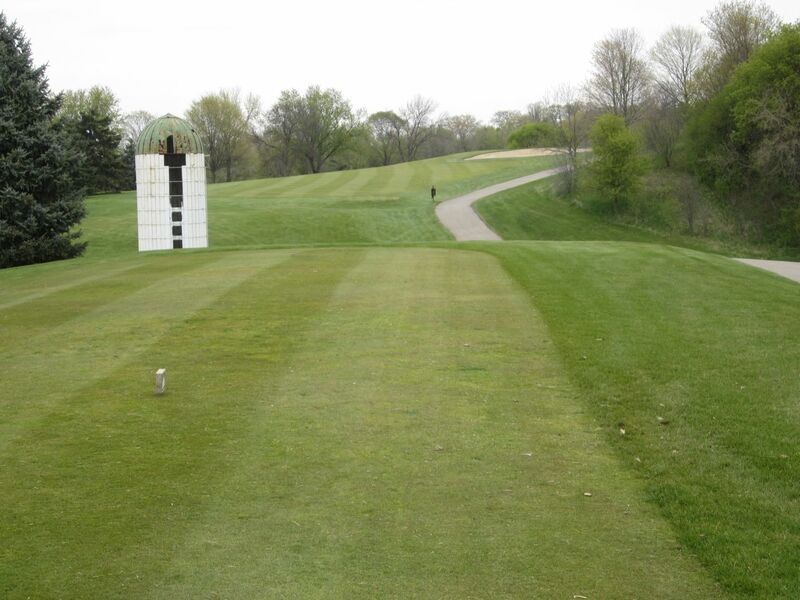 The second hole, for example, features an approach area at least 100 yards long that goes uphill and to the left without any fairway to lay up to. The majority of their par fives are similar, and [at least from the back tees] I would not consider any of them to be reachable in two. 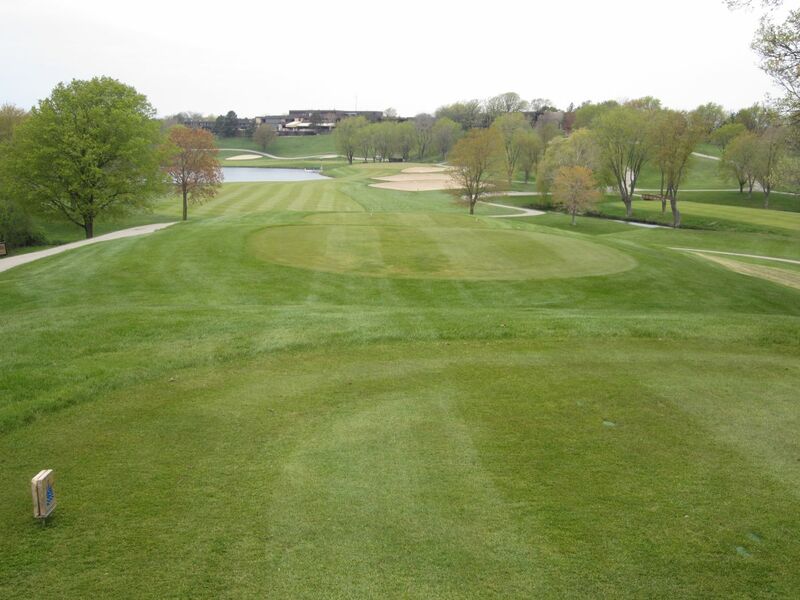 The sixth hole has a very similar approach area, and both feature greens that are several stories above [and well over 100 yards past] their playable fairways. 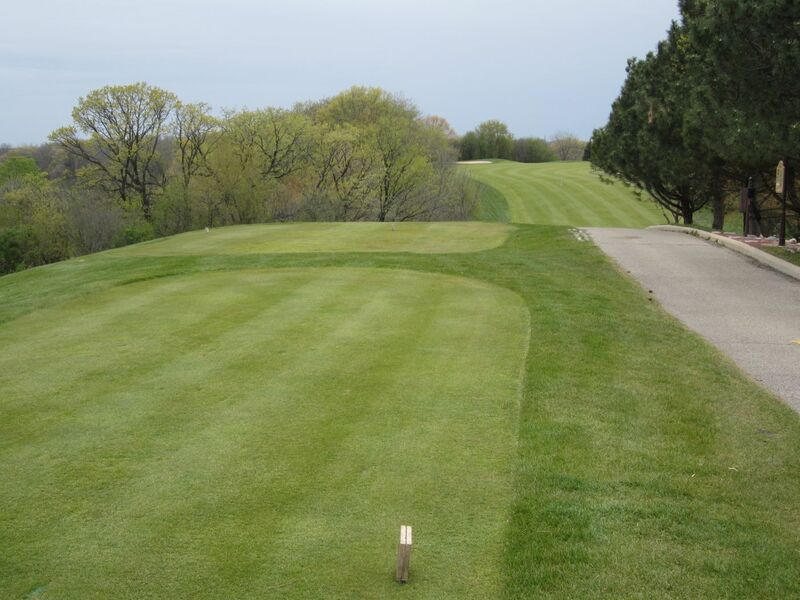 The third is a gorgeous downhill par four that narrows to about 15 yards wide between two ponds before going back uphill between greenside bunkers. The water is actually farther away than it at first appears, but a driver is probably longer than the driving area will allow. The fourth hole was probably the most wind-impeded hole on the course this weekend. At 204 yards from the back tees, the wind was directly in to us. My Rocketballz 3-wood came up short, while one of my friend’s driver didn’t even make it there. 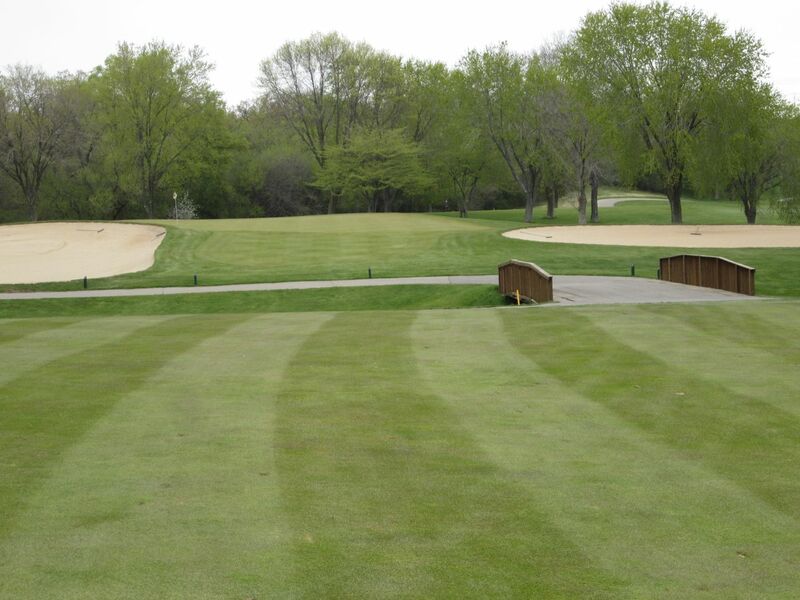 The most prominent features on the par four fifth hole are the massive sand traps. 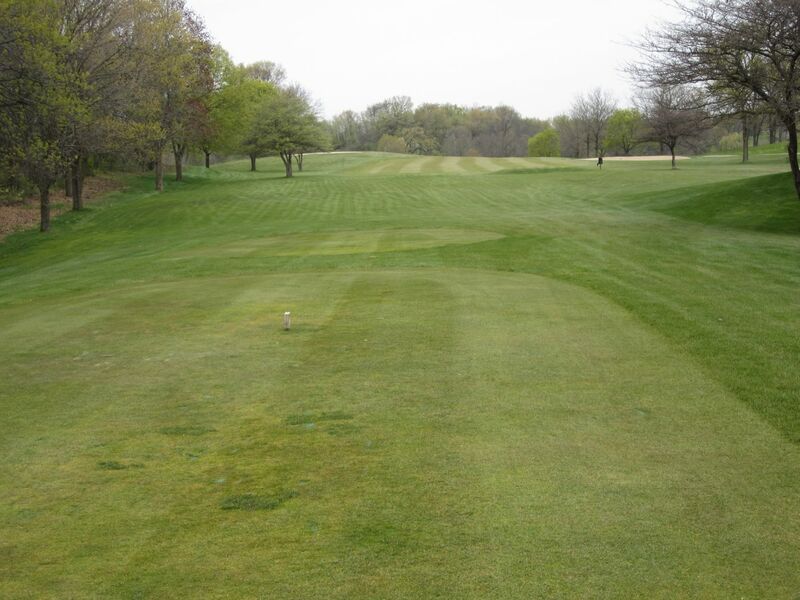 Hitting the one on the right side of the fairway will make for a hellish approach, while about 75% of the area surrounding the green is sand, as well. 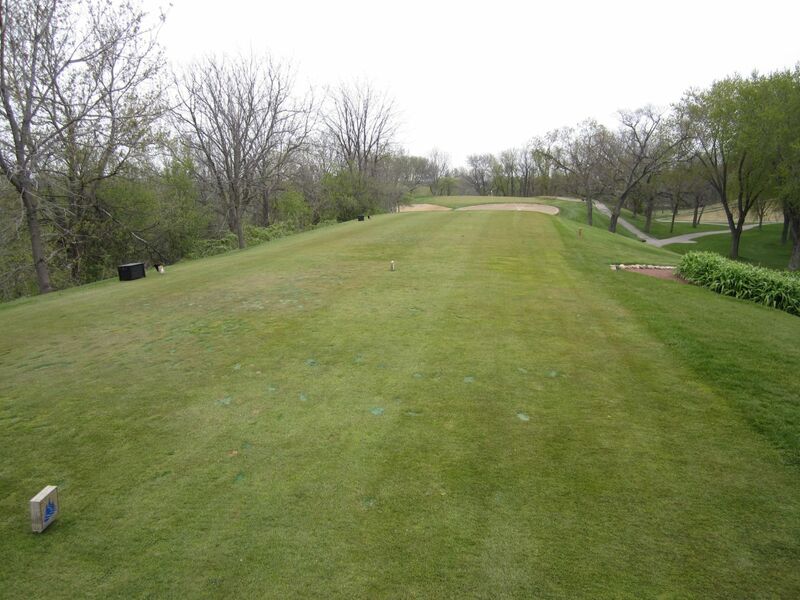 The eighth looks fairly elementary from the tee boxes, but has one of the most sloped greens on the course. I think three of the four of us three-putted this hole. 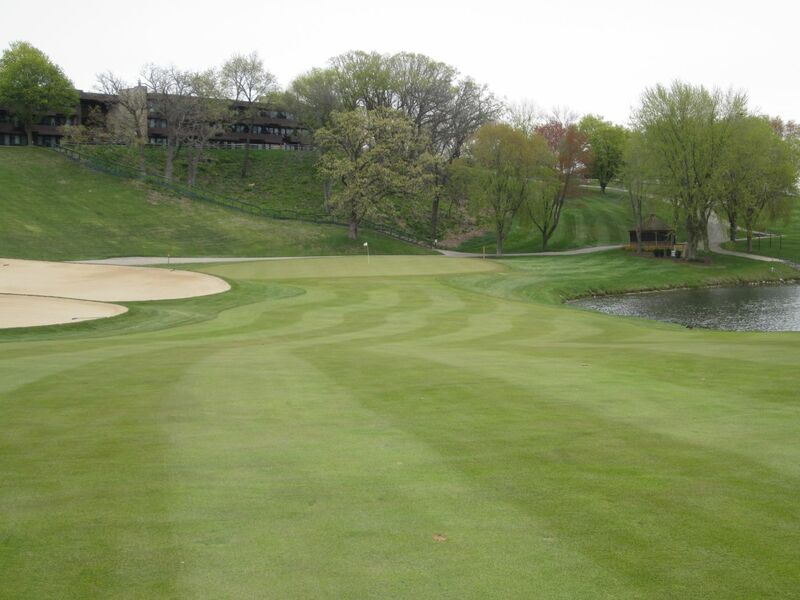 The ninth is a fantastic finishing hole on the Brute. 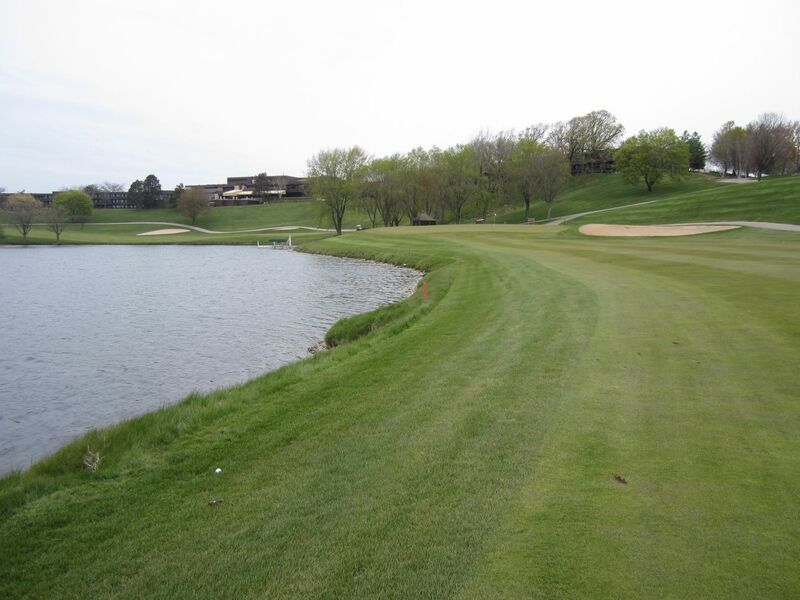 At 432 yards from the back tees, the water is certainly reachable on the left as the fairway narrows toward the green. The 11th is a charming par five that finishes high above the fairway. 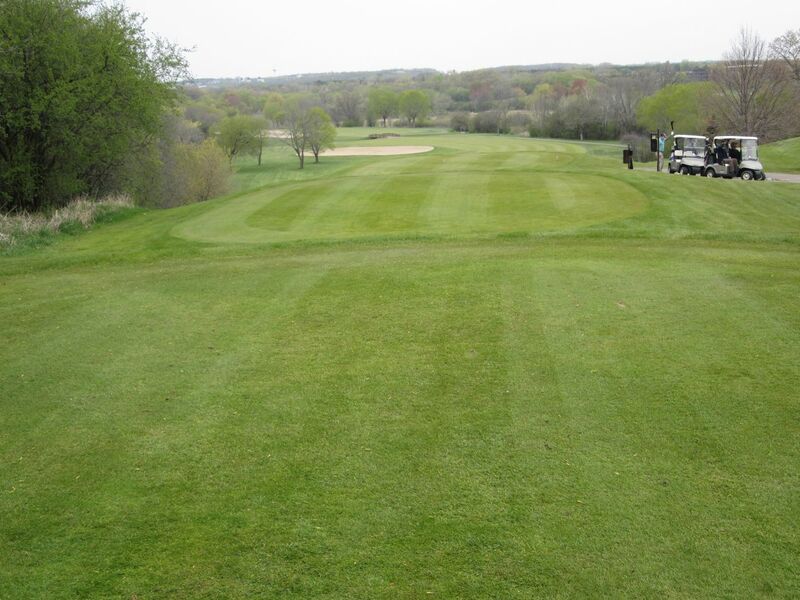 The fairway slopes heavily from right to left, so aim over the right-side sand traps to try to stay on the short grass. As is the case with the Brute’s other par fives, the green is found high above the fairway, and there is no such thing as an even lie. If there are any easy par fours on the Brute, it might be the 12th. A long drive will leave a short wedge to the green, which is heavily guarded by sand and a straight drop-off at the back of the green. 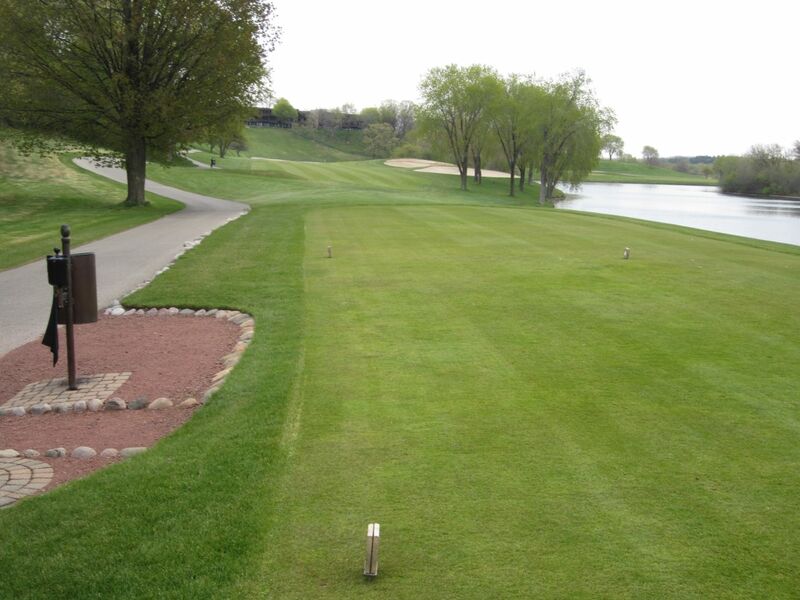 At 605 yards from the championship tee boxes, find the fairway on 15 for any chance of getting to the green in three. The large fairway bunker left is the one spot you’ll want to miss off the tee, especially to have any chance of getting over the mid-way river and leave a potential shot to the green. The 17th and 18th holes are truly phenomenal, and feature some of the most demanding tee shots on the course. The fairway on 17 filters slightly right, so aim for the left-side fairway bunker for your best chance of having a manageable approach over the front-side creek. 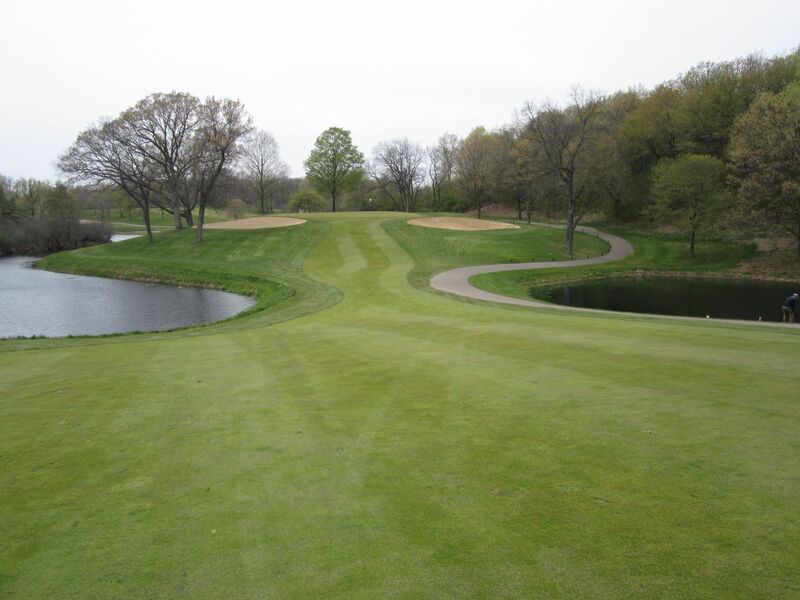 18 is a wonderful finishing hole, as well, and plays slightly less intimidating than the onboard GPS shows. The bunkers lining the right side of the fairway should help keep tee shots out of the water, but there will still be a long way to go. 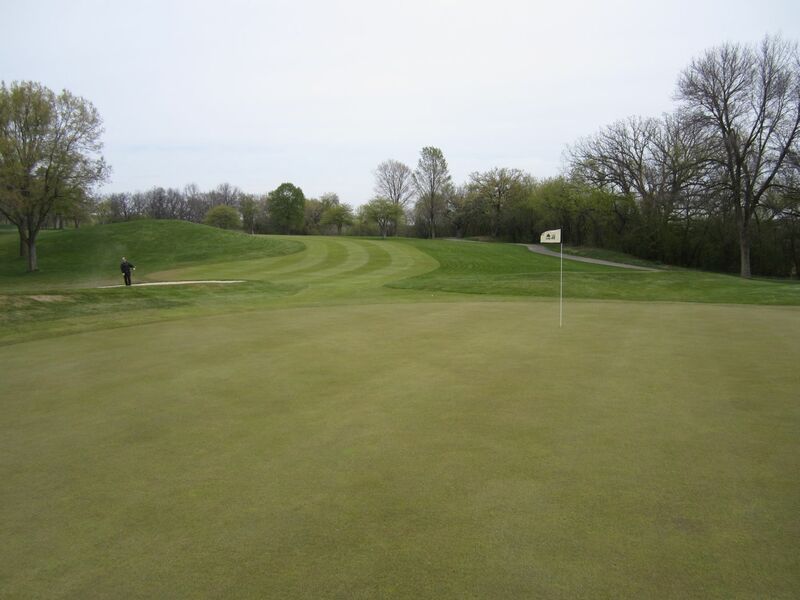 With the pin residing on top of a huge crown in the middle of the green, the 18th provides a tremendous putting challenge for finishing the round. 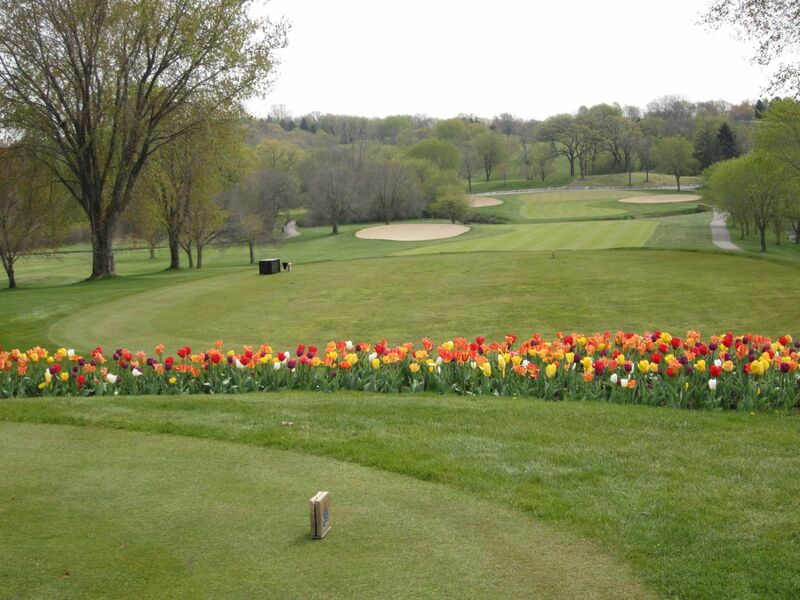 Grand Geneva has an excellent practice area with a very nice driving range and putting and chipping greens. I would have liked to be able to use the grass area of the range, but they have those tees that raise and lower so it was not a big deal. Among the other great amenities they feature is their new touch-screen GPS system. Touching any part of the screen will provide adjusted distances. Very nice! 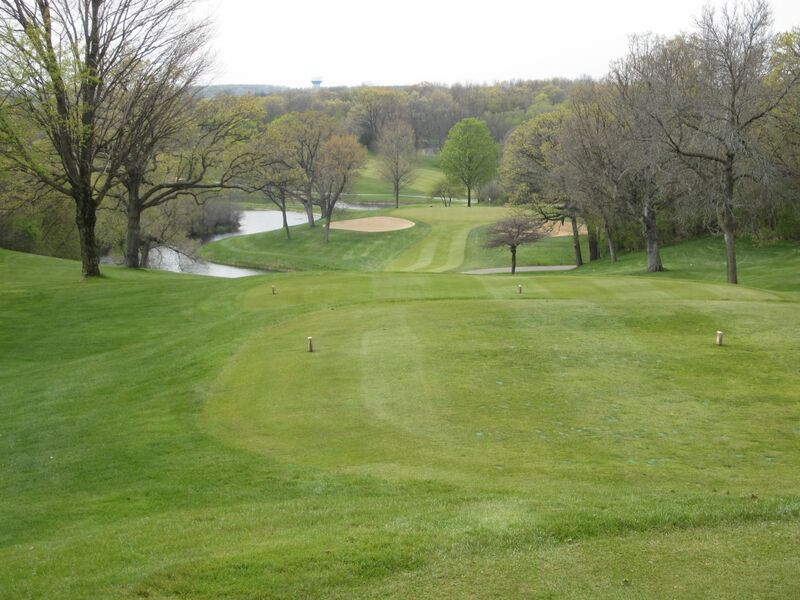 The Brute at Grand Geneva is a fantastic, yet unforgiving course. I recommend playing it when you’re feeling really good about your swing, and also recommend playing it from the white tees if you’re not a single-digit or lower handicapper. Even though we got our butts kicked all day, this was a very enjoyable round and a course that I cannot wait to get back to later this season.